The hits keep on coming, barbs aimed at Canelo Alvarez which reference the PED positives he got flagged for in February. This batch comes from former sitting Senator Harry Reid, a Nevada fixture who served in that august body politic from 1987 to 2017. The oft-combative ex-pol is entered into Nevada Boxing Hall of Fame, and it figures, he came from the sort of start that many a boxer did, and threw hands in a ring. “He comes from Searchlight, a small mining town at the southern tip of the state. The town’s largest industry was prostitution and he learned to swim in a brothel pool. His father was a miner and his mother washed the prostitutes’ clothing. He grew up in a shack made of railroad ties with no indoor toilet,” a Reid profile in the Reno Gazette in 2017 read. 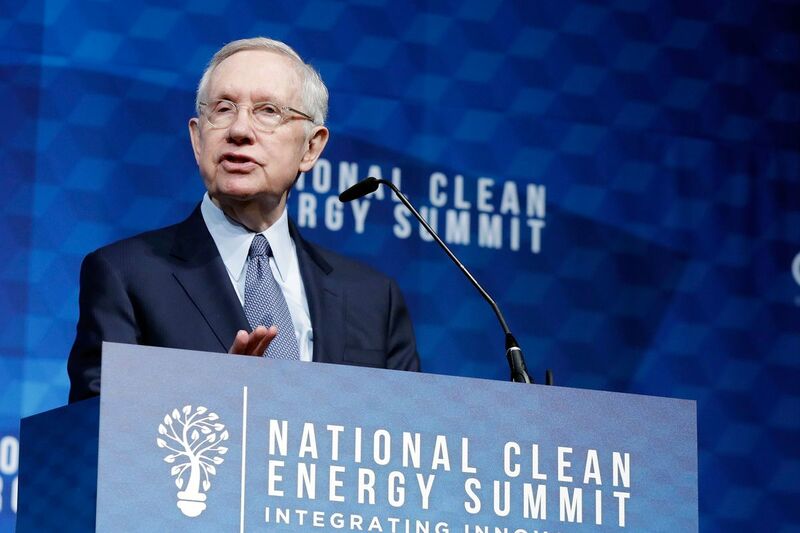 Now 78, Reid exited the Senate in early 2017. But he still is prone to throw a verbal uppercut or three. On the latest “At The Fights,” with Randy Gordon and Gerry Cooney on Sirius/XM, Reid was asked about his love for the sweet and savage science. But of course, R and G asked who’d win if seventy-somethings Donald Trump and Joe Biden rumbled. Then, he was asked about more current events, namely the Canelo-GGG cluster-eff. “I thought [GGG] won the first fight. That’s just me,” Reid said. Then, a mini-bombshell. Interesting; Reid then and now, it seems, has his era to the ground on the day-to-day insider chatter regarding the Vegas fight scene. And he’s telling the boys he knows that Floyd thought Canelo was using, back in 2013, when they squared off. Yes, the knives are sharpened everywhere, and aimed at Canelo..
Reid’s belief that Canelo’s suspension, to be finalized on April 18, will be a six-month stint, and allow him to fight GGG in the early fall matches up with what we’ve heard.